Raymond Handson is a tall, 6-foot-3 soft spoken St. Louis boxer with a 5-0-1 record. 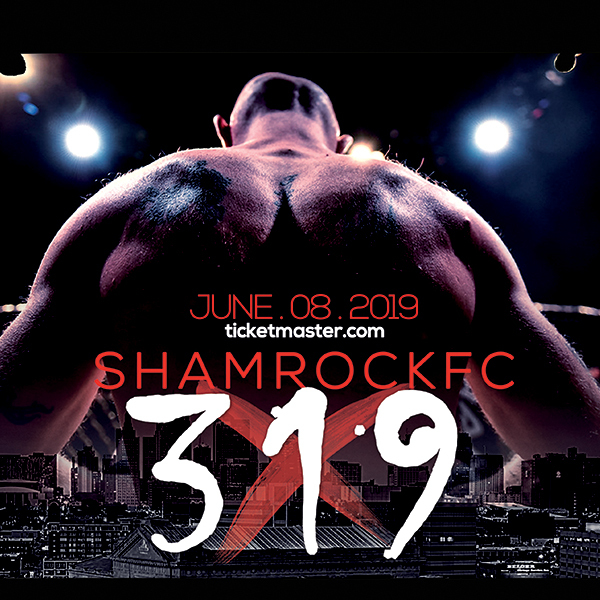 He is also the marquee pugilist for the Shamrock FC's Xtreme Fight Night series. 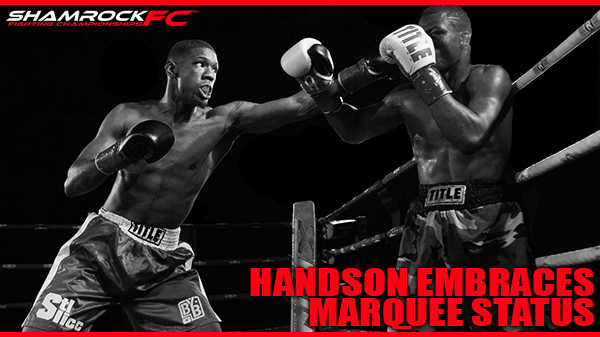 On August 25th, Handson faces Kansas City's Calvin Metcalf in his biggest challenge to date at Shamrock FC 293. Metcalf - out of the Authentic Boxing Club in downtown KC - is a perfect 5-0 with one KO. With the importance of an undefeated record in professional boxing, this fight could be career-defining for whoever loses this bout. Handson, now 28 years old, began boxing with his friends in the park when he was 10. "We just got some gloves and started fighting in the park. That was the beginning," he said. Handson is aware of the responsibility that goes along with being a trained boxer. "Back then, when we were young, it was for fun," he said. "Now it is a job. There is a big difference. Now all I do is train. I don't ride my bike around the neighborhood anymore. That takes too much energy." Boxing is special for Handson because it is both an individual and a team sport. Smiling, Handson remarked, "you got a team, but it is just you in the ring. You have to be the superstar." Success in the ring comes from his internal drive and the support around him. "I get help, sure," Handson said "But a boxer has to want to box first. No one can help you but yourself at first. They can guide you, but you have to want it yourself. Then you give it your all." Coach Doveed Linder has high praise for Handson's work ethic and character. "Raymond is a good person," Linder said, while at Sweat, a fitness gym in Clayton. "He is a worthy cause. His heart is in the right place. He has the talent to have success. He has a strong moral foundation. He is self-disciplined. It is easy for me to make the sacrifices I have to make to help Raymond. He is the type of boxer you want to root for." For Handson, self-discipline, training and a devastating jab make for a winning combination. "Training, disciplining yourself, you can't play boxing," he said. "You'll get hurt. You have to train your body to take the pain. You can get hurt bad in the ring if you don't. There are a lot of great fighters. But discipline separates fighters. I've got to give it my all. I have to have discipline." Handson prides himself on being a well-rounded boxer, skilled everywhere and able to do everything in the ring. But when pushed, Handson admits his jab is the foundation. "I work everything off a jab," he said. "If I establish my jab, I got you." Boxing comes easy for Handson, yet he is always learning. "I learn from my best moments. I got hit hard with two body shots in one fight. I went down. I got up. I won. I learned from that. Not every fighter can get up. I feel good that I have the ability to get up and fight. I have that ability." Being in the ring feels right for Handson. The crowd is tuned out. It's just him and his opponent. Like a shark, Handson keeps moving, sizing things up and executing Linder's game plan. Looking ahead, his plan is to push his career to the limits. "I feel like I have the skills to do something special," Handson said. "You never know what will be your next step. Someone gives me a call next week or the week after and there's a fight scheduled. I keep going. I will go as far as I can go."